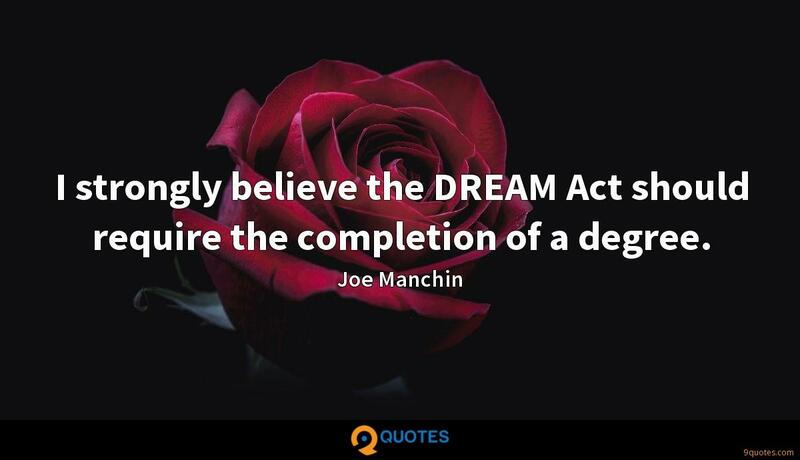 I strongly believe the DREAM Act should require the completion of a degree. 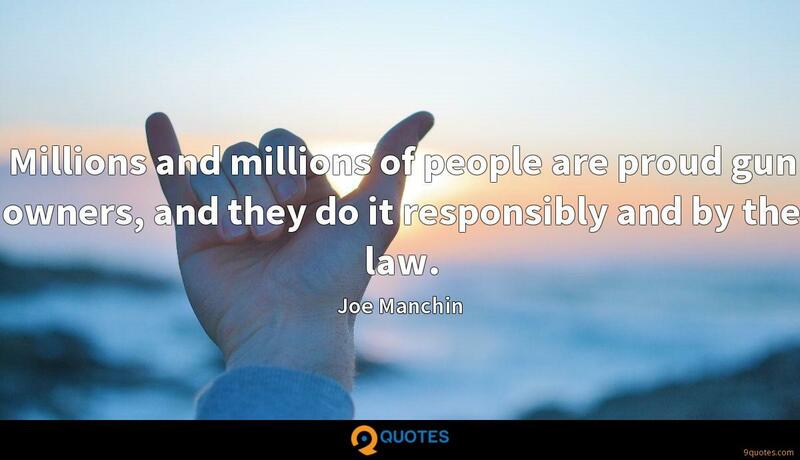 Joe Manchin Quotes. 9quotes.com, 2018. http://www.9quotes.com/quote/joe-manchin-256803, accessed 22 April, 2019. My primary motivation for running for the 9th Congressional District is that I strongly believe that one of the hallmarks of the American democracy is a representative form of democracy. 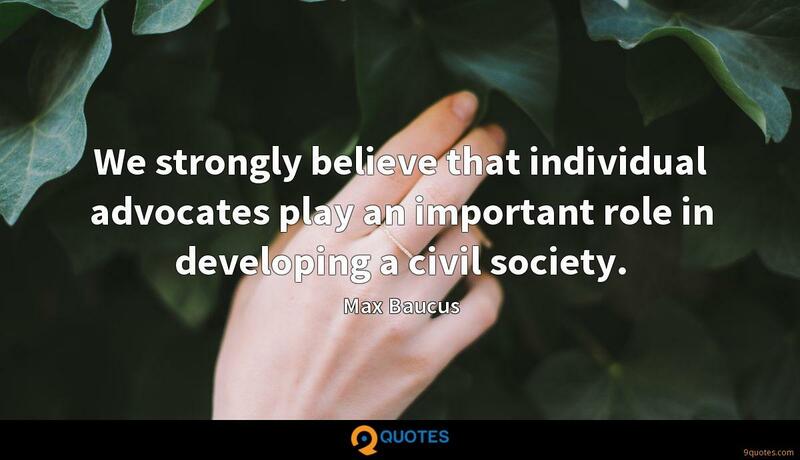 We strongly believe that individual advocates play an important role in developing a civil society. I do, however, feel reasonably strongly the sense that the job of a piece of argumentative scholarly non-fiction is not the same as the job of a piece of fiction. I don't know how many people feel strongly about what I do. 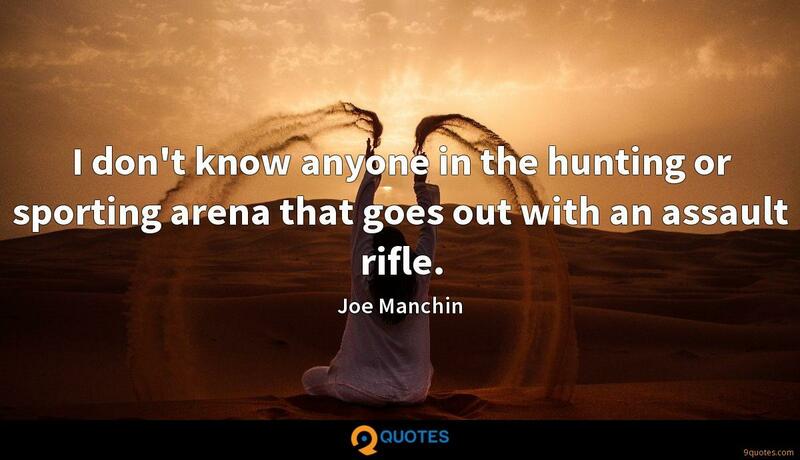 I don't know anyone in the hunting or sporting arena that goes out with an assault rifle. 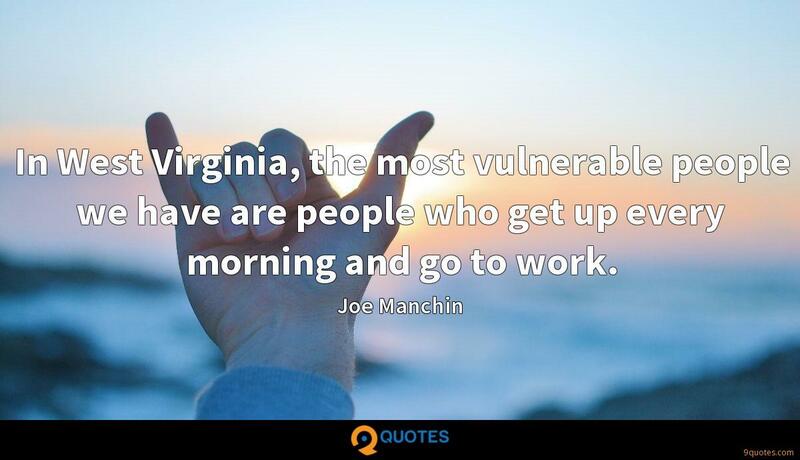 In West Virginia, the most vulnerable people we have are people who get up every morning and go to work. My grandmother had a great saying. It always stuck with me: 'People don't care how much you know until they know how much you care.' They've got to see it and feel it. And it's for real. And that's all. Be who you are. We have to change the culture of mass violence we have. Millions and millions of people are proud gun owners, and they do it responsibly and by the law.